Seinfeld and Newman played by Jerry Seinfeld and Wayne Knight. An alliance of Seinfeld/Newman proportions. You may recall the bizarre alliance forged between Seinfeld and Newman, the postal worker who habitually defied the postal service’s creed. Imagine a savior with far more appeal than Jesus, one that Jews can accept. Now think of Saudi Arabia and other Middle East nations that can loosely be described as moderate. Nearly 60 years and thousands of deaths later, Arab nations are beginning to take responsibility for the mess they helped produce in the Middle East - now that said mess is on the verge of catching up with them. As I monitored the conflict after the 2000 Camp David summit, this question repeatedly disturbed me: While Palestinians were forced to suffer, where were the Arab countries, especially those that are drenched in oil revenues? This is their people. They adhere to the same religious beliefs and practice the similar customs. Why must Israel, the United States, and other Western countries spend money on Arabs who live in Israel’s territories and refugee camps when their own brethren have sufficient funds to help them? We recognize that the future has come to look more and more bleak. Israel could be destroyed by a nuclear device launched by Iran, which has been emboldened by the Iraqi quagmire; Hamas remains devoted to Israel’s elimination, fires rockets onto Israeli towns, and persists in holding a soldier who was captured last June; Hezbollah is very likely retrenching in southern Lebanon and continues to keep two Israeli soldiers imprisoned; and the United Nations has been duplicitous and America is operated by a crew which, despite good intentions toward Israel, does little to inspire confidence. Saudi Arabia and other Arab states feel threatened by the same forces and are finally attempting to rise to the challenge. Now the stage is set for "an alliance," the same type proposed the nefarious Newman on "Seinfeld." 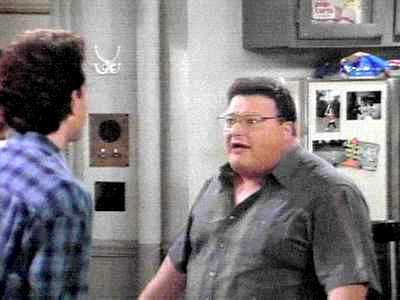 On the television program, the two immoral foes formed an alliance to help Newman transfer to a postal job in Hawaii, allowing Seinfeld would be rid of him forever. Their endeavor foundered, which of course allowed the show as we knew it to go on. The emerging power of Islam’s Shiite sect is now recognized as a common enemy of Israel and moderate Arab nations. USA Today recently reported that Arab diplomats have reached out to leaders in both Israel and the American Jewish community. Saudi Arabia should be credited with helping Fatah and Hamas agree to a coalition government, though their future remains uncertain. This new attitude merits serious consideration. It could be a unique opportunity that would transform the landscape of the Middle East. Israel would have allies that could help confront those intent on destroying it, and might even bring current enemies into the alliance’s fold. The mullahs have historically shown an unfailing ability to smell out and... succumb to credible power in their foes... The presence of the American ships has helped encourage them to negotiate. But no less clear is the fact that the mullahs’ attitude change began in late December, when the United Nations Security Council finally passed a resolution against the regime in Tehran. The passage of the resolution hastened the demise of President Mahmoud Ahmadinejad’s confrontational approach... The falling price of oil, leading to declining revenues..., magnified the resolution’s economic impact. Top leaders (of Iran)...have made it clear that they consider sanctions a serious threat --- more serious, according to Mr. (Ali Akbar Hashemi) Rafsanjani, than the possibility of an invasion... few things frighten the mullahs more than the prospect of confronting a united front made up of the European Union, Russia, China and the United States. The intervention of other Arab nations would surely enhance the power of such a united front, and there is no question that a settlement between Israel and the Palestinians seems improbable in the near future. Hamas' positions are too rigid for Israel to even think about concessions. Saudi Arabia was still correct in bringing leaders of Hamas and Fatah together. It contributes to the long-term solution for the Middle East’s multiple messes --- reducing violence, ending conflicts and building Arab economies. The truce between the two groups may not last, but at least Saudi Arabia tried. The most crucial step was Saudi Arabia’s pledge of $1 billion to the Palestinians. It is about time that the Arab nations that can afford it should spend money to build the lives of those living in Israel's territories and the various refugee camps outside Israel. The potential for an alliance was evident even before the Six-Day War began, as Michael Oren indicates in his best-selling book Six Days of War. " [Egyptian leader Gamal Abdel] Nasser’s deeds had whipped the Arab "street" into a fervor unequaled since the heady 1950s. Conservative Arab leaders had no choice but to join that procession, even as Syria and Egypt continued to plot their overthrow." "We no longer knew who was less trustworthy: Israel, or our Arab allies!" wrote [Jordan’s King] Hussein. Maybe the late Hussein's observations can finally be translated into a sturdy alliance between Israel and some of these Arab nations. Just beware that anyone can disrupt it by going Newman... that is, going postal... whenever we least expect it.